* Learning in the 21st century takes place any time and anywhere! * Integration of technology is an absolute must in any educational system in the 21st century. 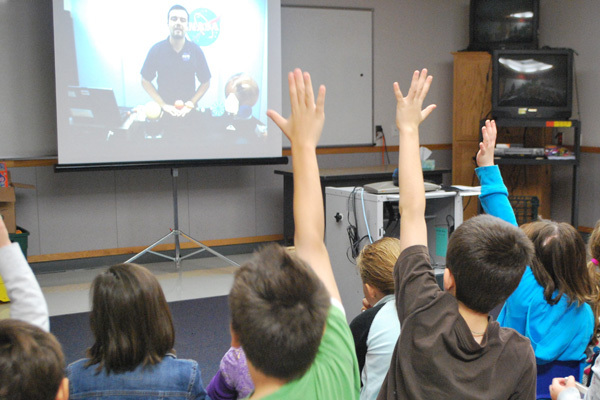 Elementary students videoconferencing with expert at NASA. Using laptop computer to create an original video. A research report published by the New Media Consortium in 2013[i] states that the biggest challenge to implementing a 1:1 computer initiative in schools is the lack of adequate, ongoing professional development for teachers who are required to integrate new technologies into their classrooms yet who are unprepared or unable to understand new technologies. The 21st Century Teacher Education Initiative provides a re﻿search-based and practitionally-proven program for ensuring that technologies are implemented fully, as a vehicle for delivering the curriculum, and not as an add-on to be used as a $1,000 pencil. Having technologies in the hands of students does not make education 21st century. How the technology is used will determine whether the educational experience is 21st century, and will de﻿termine whether these technologies support the purpose of education, the building of character, the acquisition of knowledge, and the development of 21st century skills and the multiple literacies for the 21st century. 21st Century Schools will bring to world-class expertise in the best practices of integrating technologies into the educational experience. Our experts are the most advanced in the world in their knowledge of technology integration, from learning “in the cloud” to 1:1 initiatives, to global, collaborative classroom projects, mobile learning, the flipped classroom, and “on the ground” in the classroom, curriculum design, lesson planning and instructional strategies. Our Technology Integration program is integrated and holistic. Further reading: please see Anne Shaw's article, "Will the real 21st century schools please stand up?"